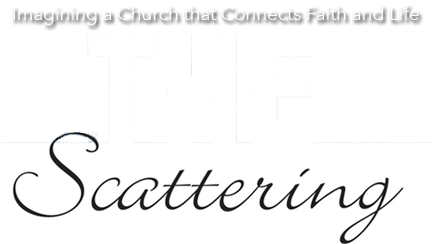 Connect with other scattered church advocates on The Scattering’s Facebook page. The Southeastern Iowa Synod produced two 90-second videos for it’s 2016 assembly. These videos can be used as excellent conversation starters in your congregation. Find them here: Vocation 1 and Vocation 2. This excellent short film, The Coffinmaker, provides an excellent exploration of calling and vocation. It is an excellent conversation starter. GE made a short film that explores the sense of calling their employees display in their work. Use it with groups to start a conversation on how our work benefits our neighbor. CBS News and Steve Hartman had an On the Road episode about a six year-old orphan whose mission became making other people smile. Contrary to Frederick Buechner’s famous quote, “The place God calls you to is the place where your deep gladness and the world’s deep hunger meet,” this little boy’s vocation arose out of his greatest sorrow. This 2014 ad from a Thai life insurance company has made the rounds, but it’s a worthy conversation starter. Radical Sending, a book listed in The Scattering‘s bibliography, has a companion website. The website has some helpful resources for those engaged in the work of equipping the saints. Member Mission teaches the baptized to see themselves as missionaries out in the world in each of their daily places doing God’s work with Jesus’ help and guidance. In today’s world, the most effective agents of God’s mission in Jesus Christ are each of the baptized in their daily places – at home, at work, in their local communities and the wider world, in their leisure time, and their spiritual health, as well as in their church life and outreach.